Pineapple Health (Phoenix) - Book Appointment Online! 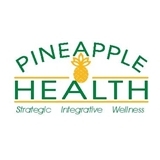 Pineapple Health is a family medicine practice based in Phoenix, Arizona. Our practice includes family medicine physician Dr. Kevin Chan as well as our nurse practitioners Jonne Housh FNP-C, Virginia Greene FNP-C, Dr. Monica Jeffers NMD, FNP-C and Karie Fedorick PA-C. Our specialties include preventive medicine, integrative holistic medicine, Bio-Identical Hormone Replacement Therapy and an array of cosmetic procedures. A family medicine physician is highly trained to determine the cause of your symptoms and offer medical treatment options.